MainBlogsFundamentally FreundWhy is American Jewry Silent? Why is American Jewry Silent? At a time when thousands of Jews in Gush Katif and northern Samaria face the prospect of expulsion from their homes in just two weeks' time, most US Jewish groups seem to have lost their voices, preferring to ignore the plight of their brethren rather than speak out on their behalf. Nowhere has the political cowardice been more blatant than among the leadership of American Orthodoxy. Despite the close ties that many religious Jews in the United States have to the Jewish communities of Judea, Samaria and Gaza, organizations such as the Orthodox Union and the Rabbinical Council of America have refused to come out openly against the expulsion. In the article below that I wrote, which ran in the Jerusalem Post, I tried to draw attention to this failure of leadership. If you feel as I do, e-mail the two organizations (keep it short and polite) and let them know what you think of their wishy-washy stances on the issue of expelling Jews from their homes in the Land of Israel. The clock is ticking, and there is no time to waste. We must raise our voices now on behalf of the Jews in Gush Katif and northern Samaria, and pray for Divine mercy at this critical hour. The future of our people, and of our Land, is at stake. The bulldozers are revving up, thousands of protesters are taking to the streets, and Israel's security forces are practicing mock evacuations – but that hasn't stopped the bulk of American Jewry from striking a shamefully casual pose of inexplicable silence. With just two weeks remaining before the start of the proposed withdrawal from Gaza and northern Samaria, an event that could prove to be one of the most wrenching and painful in all of Israel's modern history, one would have expected US Jews to be in an uproar. Sure, you'll find an occasional article on the subject, and perhaps even a protest or two, but there is little passion informing the debate and, quite frankly, not much of a debate taking place on the subject at all. With the exception of a handful of groups such as the Zionist Organization of America and Americans for a Safe Israel, it is as if much of the organized American Jewish community has chosen to disengage itself precisely when Israel faces one of its most divisive moments ever. Take, for example, the intimidation and harassment faced by opponents of the withdrawal in Israel, numerous cases of which have been documented in recent months. In the past, American Jews have consistently shown themselves to be among the most vocal of critics when it comes to issues of human rights and civil liberties, both domestically and abroad. Nonetheless, despite a series of disturbing developments, ranging from the singling out of religious Jews by Israel's police to the illegal detention of minors, the American Jewish community has largely fallen silent, failing to raise its voice against Prime Minister Ariel Sharon's heavy-handed tactics. Even the underlying moral issue at stake here – whether a Jewish government should be forcing Jews out of their homes in the Jewish state – has hardly received the airing it deserves. Regardless of whether they support or oppose the pullout, how is it possible for so many American Jews to utter barely a peep when such a momentous issue is confronting the Jewish state? Have they become so disconnected from life in Israel that they fail to appreciate the importance of the current situation? 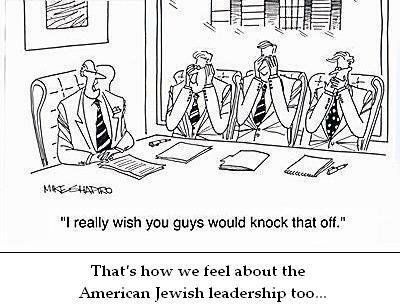 This state of dormancy is not limited to a particular sector of US Jewry. But nowhere has it been more palpable, or more startling, than among the Orthodox leadership, whose constituency has perhaps the strongest ties of any group to the Jews of Gush Katif. Indeed, for all their outspoken stances on a range of other issues, many of America's Orthodox leaders have been unusually reticent when it comes to the Gaza expulsion plan, preferring to avoid taking a clear stance on the issue, or sidestepping it altogether. And so, in recent months, the Orthodox Rabbinical Council of America (RCA) chose to release just one statement regarding the withdrawal, the same number of statements that were released on issues such as downloading material from the Internet and utilizing gambling as a fundraising tool in the Jewish community. BUT WHEREAS the RCA at least had the moral courage to take a stand against gambling, it failed to muster a similar level of clarity when it came to Sharon's gamble with Jewish lives known as the Gaza withdrawal plan. Incredibly, its statement on the proposed withdrawal takes no position on the issue, simply stating that "If an evacuation occurs, it should be done with the greatest sensitivity and honor." In other words, as far as the RCA is concerned, if you are going to throw thousands of innocent human beings out of their homes, at least make sure to do it with a smile. Then there is the Orthodox Union (OU), the venerable organization that aims to serve as the central voice of Orthodox Jews in the United States and Canada. A month ago the group issued a statement that, despite being long-winded, also failed to delineate a clear stance regarding the Gaza retreat. To its credit, the OU has taken Sharon to task for his government's "indifference to civil liberties," but it has still refused to condemn the expulsion itself, instead invoking slogans about a diversity of views among their membership. Apparently, some Orthodox leaders seem to think that political convenience trumps Jewish law. They would do well to recall the words of Maimonides, who noted in his Mishneh Torah that it is a biblical commandment for Jews to cry out to God when we are beset by a national crisis or trauma, such as when land is about to be taken away from the Jewish people. In the Laws of Fast Days, Maimonides warns that if the Jewish people "do not call out and do not blow the shofar, but rather say that this is happening to us because it is the way of the world," they will inevitably bring still further trouble upon themselves and their brethren. In other words, remaining silent is simply not an option. Inaction also has consequences, and American Jews deserve to know where their leaders stand, and whether they are for or against the proposed retreat. The sad state of affairs of the Orthodox leadership in America was best summed up by a recent editorial in the Brooklyn-based Orthodox weekly, The Jewish Press, which said, "Rabbis, where are you? Rabbis of Agudath Israel, rabbis of the Orthodox Union, rabbis of the RCA: Why are you not crying out until your prayers reach Heaven? Why are you not leading us?" At a time of such great turmoil and upheaval for the Jewish people, it is a question that deserves an answer.